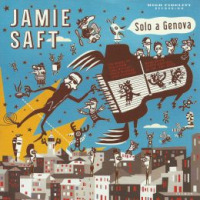 Since his 1997 recording debut, keyboardist Jamie Saft has carved out a dynamic profile, first (mostly) with John Zorn's Tzadik label and, since 2011, with RareNoise Records. 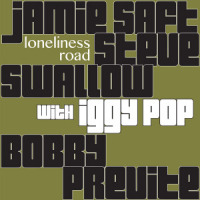 A string of four releases on the label set the stage, beginning with 2014's trio outing The New Standard, through Loneliness Road (2017) (another trio set, with Iggy Pop sitting in on a few tunes), Solo A Genova (2018), and the quartet recording, Blue Dream, featuring saxophonist Bill McHenry. It was a busy and artistically fruitful few years for Saft. You Don't Know the Life has Saft switching gears, plugging into Hammond and Whitehall organs and an electric Baldwin harpsichord. The organ trio tradition is a long oneJimmy Smith, Grant Green, Jack McDuffbut You Don't Know the Life doesn't sound like an attempt to adhere to that groove-based, urban, soul-drenched template. 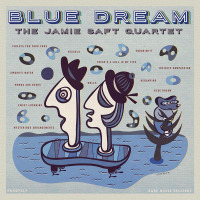 The Saft Trio, with the team of bassist Steve Swallow and drummer Bobby Previte, seems to be pushing through on a new pathbreezy and freewheeling at times, reverential and church organ-like at others, and even psychedelic, on the opening cut, pianist Bill Evans' "Re: Person I Know," where Saft breaks out the electric harpsichord. "Dark Squares" is attributed, songwriting-wise, to Saft/Swallow/Previte, so it is most certainly a trio improvisation, a measured and contemplative music that seems like a trip to church. "Water From Breath" flows down the same path, in a more lighthearted manner. The title tunefrom ZZ Top-er Billy Gibbons' pre-ZZ Top psychedelic blues band, Moving Sidewalkssounds like a lonely stroll down a midnight alleyway, immersed in the pondering of a love just lost. The album wraps up with a couple of unexpectedconsidering the eclectic batch of tunes that precede themfamiliar standards, "Moonlight In Vermont," taken at a loose and leisurely pace, and Burt Bacharach and Hal David's "Alfie." 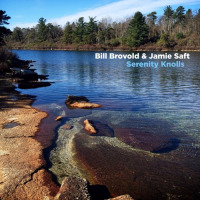 Pure loveliness, Saft's organ a cool and cleansing breeze. Track Listing: Re: Person I Know; Dark Squares; Water From Breath; You Don't Know the Life; Ode To A Green Frisbee; The Cloak; Stable Manifold; The Break Of The Flat Land; Moonlight In Vermont; Alfie. 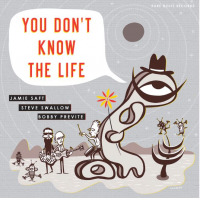 Personnel: Jamie Saft: Hammond organ, Whitehall organ, Baldwin electric harpsichord; Steve Swallow: electric bass; Bobby Previte: drums.